Product DescriptionLevel I can take anyone at any level of fitness and produce life changing results. 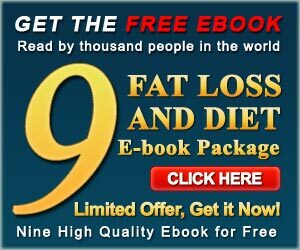 Reveals all the secrets to get you out of pain, fix posture, super charge fat loss and master the foundations! Workout ANYWHERE with little to no equipment!LEVEL I : FAT LOSS AND THE FOUNDATIONSLevel I is about two things: Fat Loss and Mastering the Foundations. Level I will teach you all the best exercises for how to super charge fat loss in just 20-30 minutes a day so that you get results FAST! In addition, Level I teaches you ALL the secrets of our foundations for success. From correcting posture, muscle imbalances to dramatically improving strength, coordination, balance and much more, Level I covers all the foundations you need to significantly increase your results from every exercise and workout for the rest of your life. By mastering the foundations of the D. O. M. system, Level I will quickly and easily help you reduce and even eliminate chronic pain in the body. Level I marks a tremendous breakthrough, because it can take almost anyone at any level of fitness and produce phenomenal results. The Foundations will set you FreeIf you are someone who hasn’t worked out before, or at the very least, in many years, Level I is the place for you to start. Level I will significantly improve your functional movement, strength and conditioning freeing up your body for much more natural and fluid movement. And remember, this system is unique, because you can tailor it specifically to your needs. Unlike other rigid programs, we show you how to make any exercise work for you. If you do workout regularly, you still need to start at Level I. Why? It will teach you ALL the secret foundations for successfully getting the maximum benefit from every exercise you do. It will open up your potential for much more advanced exercises in Levels II and III. Personal trainers will get a great deal out of Level I and so will you! Plus, the exercises and workouts are still challenging enough to make you work hard, especially since you will finally be doing everything with proper form!Finally, the Freedom to Workout Anywhere at AnytimeHow many times have you had to skip a workout, because you didn’t have time to get to the gym? Very few people actually have 1-2 hours to get to the gym and do a workout. The beauty of the D. O. M. system is that you can do it anywhere with little to no equipment. And since the workouts only take between 20-30 minutes, you can finally get in your workouts anytime you want! Once and for all you can reach ALL your goals, because you can always find a little time to workout and we show you how to do it every step of the way. >> This level costs about the same as 3 movie tickets and gives you the best stretches, exercises and workouts you have ever done! >> Will take ANY experience level and build the foundations for AMAZING results! >> Incredibly easy to follow and do – Hundreds of high quality photos. . . Photos for EVERY stretch and exercise with amazingly simple instructions. >> Will help you burn fat and get toned FAST! This system supercharges your body’s ability to lose fat and keep it off! >> Helps correct postural distortions, inflexibility and muscle imbalances that cause chronic pain! Whether it is knee pain, back pain, etc. . . this system will show you how to get rid of it naturally and safely. >> Significantly reduces the risk of injury while also dramatically improving functional, everyday movement. Whether you are a pro athlete or picking up a child, you will get the power, strength and flexibility to move naturally and effectively in everyday life and sport. >> Will take ANY experience level of fitness and significantly improve their over-all performance. It does not matter if you are a Navy Seal, weekend warrior, or totally out of shape, this system will push the boundaries and help you achieve results that are extraordinary.